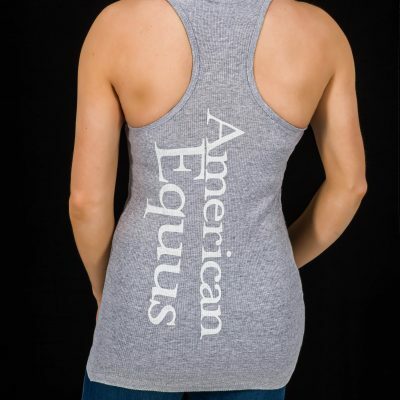 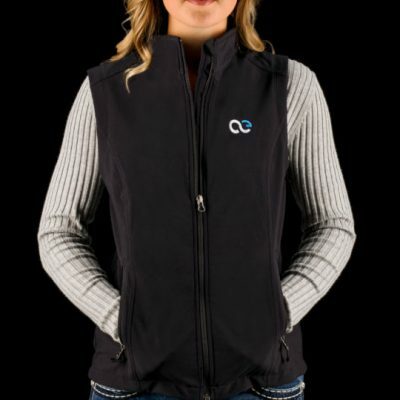 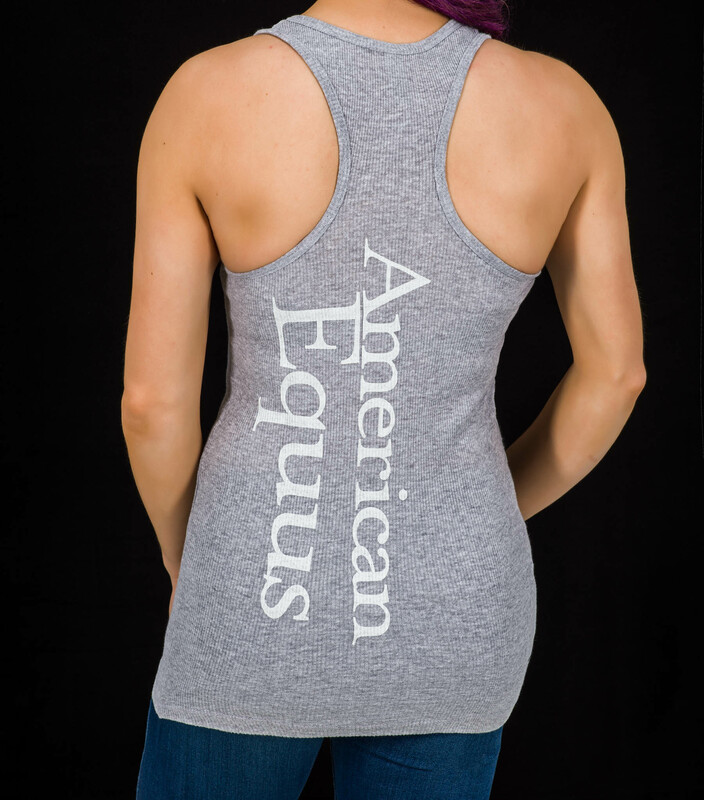 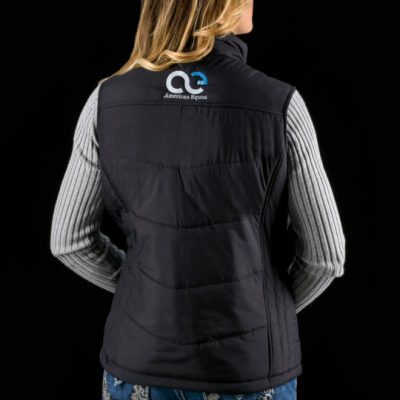 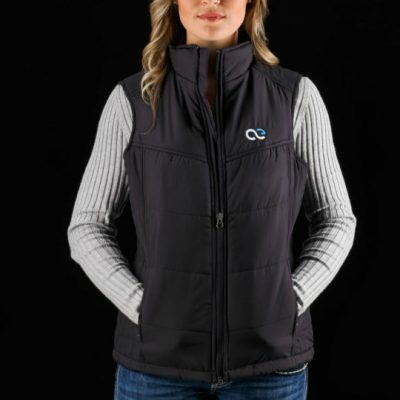 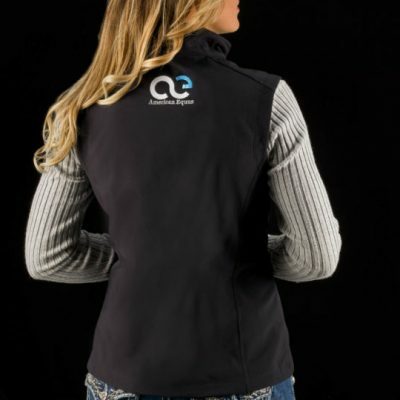 Our American Equus Signature Tank-Top is perfect on it's own, or layer it for that perfectly put-together look. 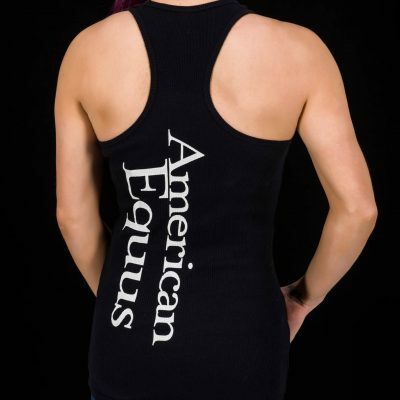 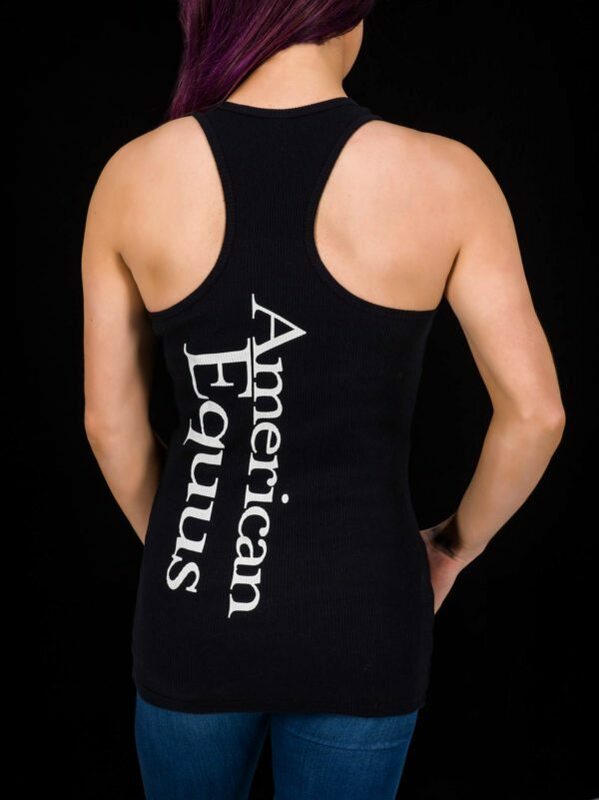 Our American Equus Signature Logo Women’s Tank-Top is a classic silhouette 2×1 ribbed tank features a slim fit with racer-back straps. 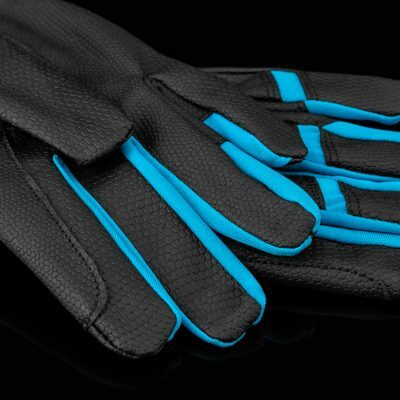 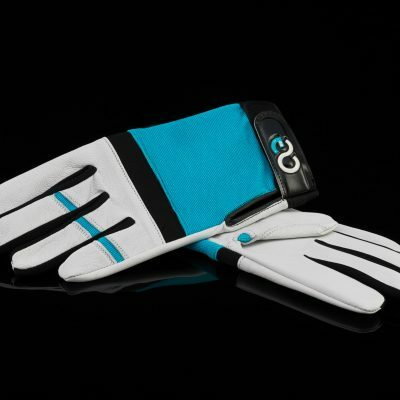 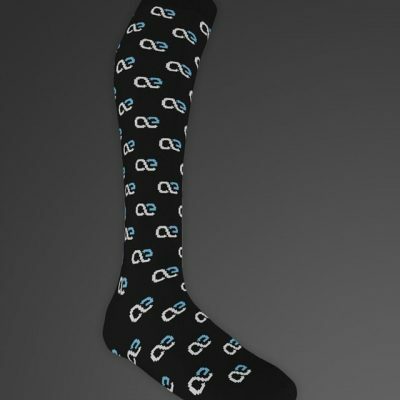 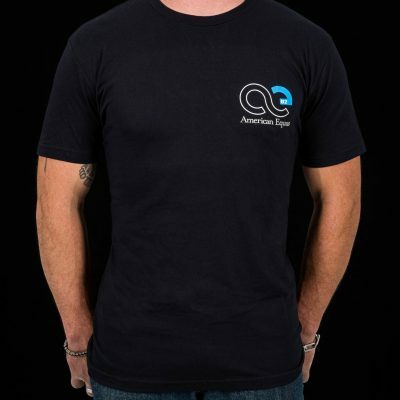 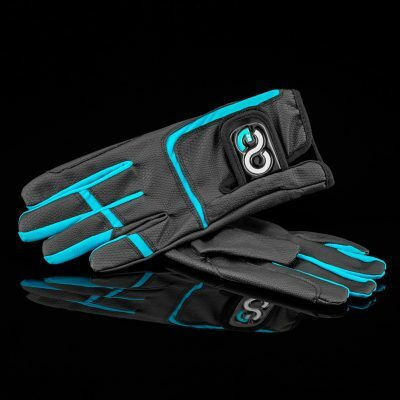 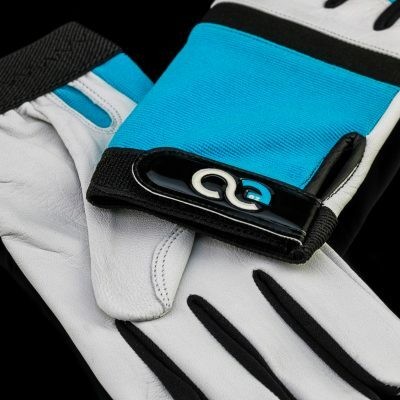 Designed with 100% combed and ring spun cotton. 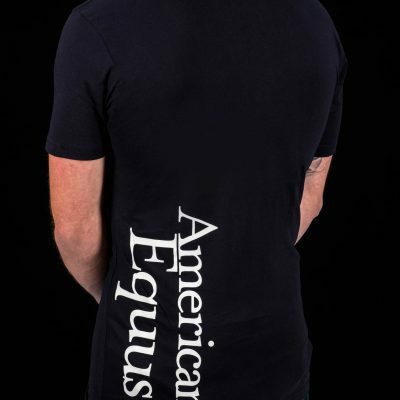 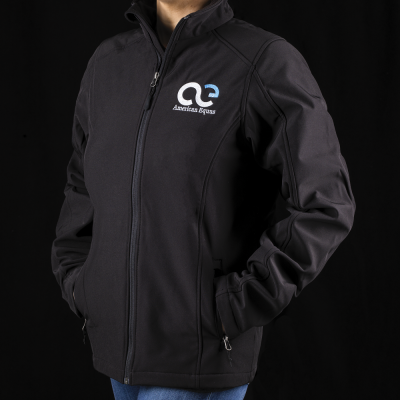 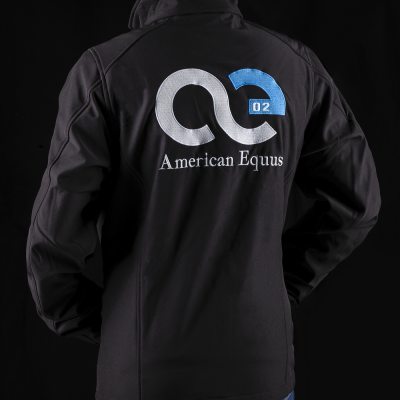 Our signature logo is displayed across the front, while our company name is written down the back. 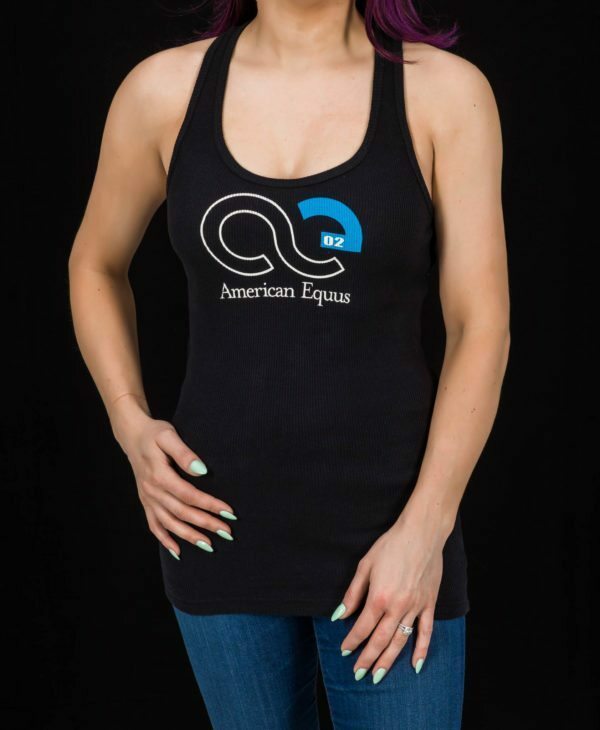 This tank-top is stunning and makes quite a statement as a stand-alone shirt and is also perfect for layering. Our women’s tank-top is made right here in the US with the same attention to detail and care as with all our products.